Standing in the small waiting room of a crowded neonatal intensive care unit (NICU) in Uganda, Yonah, a young nurse with relentless commitment and contagious passion, looks up at the board where newborns deaths have been tallied for the month of August. “This board is a reminder of the progress we have made and the road we have left in front of us,” he tells us. Every month, Yonah and the other NICU nurses review the successes and challenges they’ve faced and use the newborn assessment data, collected via an innovative SMS-based mobile application, to identify gaps and develop solutions that will reduce the number of tally marks on the board. “Why? Why are these babies dying? What can we be doing differently tomorrow from what we did today?” These questions Yonah asks himself and his fellow nurses are the same questions at the heart of the Saving Lives at Birth (SL@B) Grand Challenge. 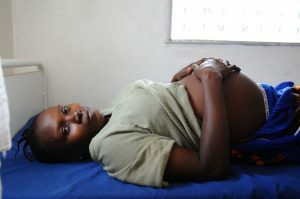 Over the last eight years, SL@B has funded nearly 120 unique innovations to address maternal and newborn health challenges that are being implemented in more than 20 countries around the world. These solutions target the causes of neonatal death across the continuum of care and tackle entrenched obstacles by leapfrogging existing products and conventional approaches to newborn care. Yet, we know that technologies don’t save lives, people like Yonah do. So how does innovation equip frontlines health workers to take on these seemingly insurmountable challenges? Take a look at five ways SL@B — supported innovators are overcoming barriers to progress in quality newborn care. Many babies born prematurely have trouble breathing on their own. 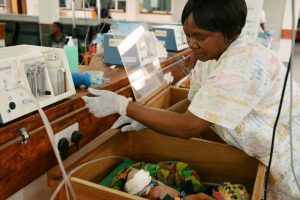 CPAP can provide premature babies with the air pressure needed to support their breathing; however, traditional CPAP machines can be too expensive and technically complex for low-resource settings. 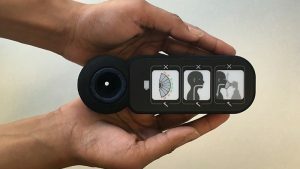 After learning about the lack of affordable options for treatment, students from Rice University in Texas were inspired to create a rugged, low-cost respiratory device to help small and sick babies breathe. 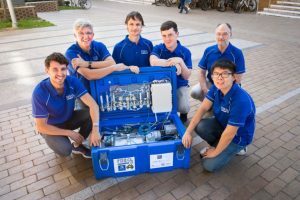 Using a shoe box and an aquarium pump, these students, in collaboration with doctors and nurses at Queen Elizabeth Central Hospital in Malawi, created the Pumani bubble CPAP (bCPAP) prototype that, at one tenth of the traditional CPAP cost, is equipping nurses with life-saving technology in hospitals throughout Malawi and beyond. Florence Mwenifumbo, a neonatal nurse in Malawi, is know by her colleagues as the “CPAP Champion” for her role in scaling up the bCPAP to ensure access to critical care for premature newborns in hospitals across the country. “They have given me this name because they know if they have got a challenge, they call me to fix that challenge,” Florence says. For babies who are born not breathing, a condition known as birth asphyxia, every second matters. 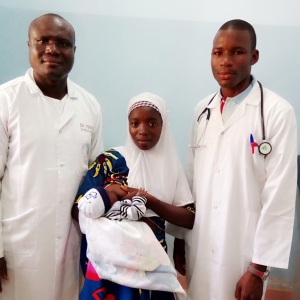 Without access to advanced equipment or continuous training opportunities, birth attendants who attempt to resuscitate may end up giving too much air or too little, too fast or too slow, which is both ineffective and often fatal to the baby. Recognizing the need to help providers with this critical skill, innovators at Massachusetts General Hospital, Mbarara University of Science and Technology in Uganda, and MIT, developed the Augmented Infant Resuscitator (AIR), a tool that is added onto existing resuscitation devices to measure and help regulate the airflow delivered to the baby. This tool provides intuitive real-time feedback to birth attendants during training and practice, and records performance for future feedback, improving the training of providers by identifying persistent gaps in technique. What if you could take a ketchup-like packet, fill it with life-saving drugs, and ensure it reaches facilities in the appropriate quantities? This is exactly what the Elizabeth Glaser Pediatric AIDS Foundation is doing to improve the outcomes for the 120,000 HIV exposed infants born in Uganda. For these infants, a six-week course of Nevirapine, an antiretroviral viral medicine used in the treatment of HIV, can help reduce the risk of transmission from mom to baby immediately after birth and while breastfeeding. Yet, currently only 38 percent of newborns who need this drug receive or complete treatment due to frequent stock outs at facilities. Furthermore, the challenges of measuring the sticky liquid in precise quantities — not to mention the fact that the syringe marking tends to rub off easily — means that mothers end up estimating rather than measuring correct infant doses. 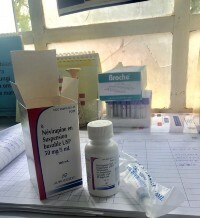 “The pouch will be very helpful in increasing access to Nevirapine to protect [HIV-exposed infants] from exposure risk. 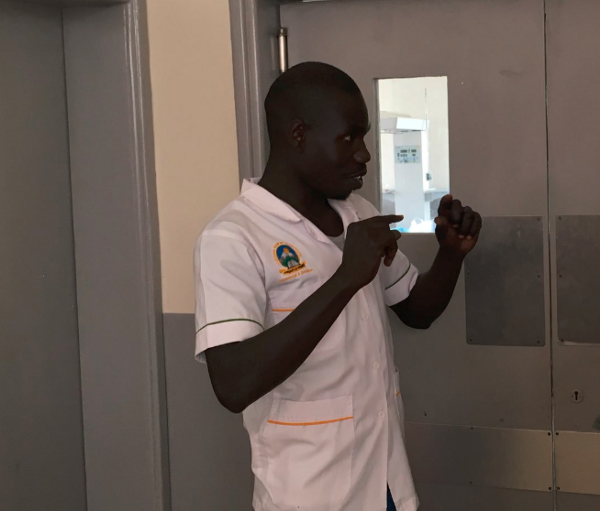 Given in advance to the mothers during ANC (antenatal care), it is easy to administer even by the less-educated mothers, and health workers are not worried about the delay in babies getting treatment,” says Deborah Twogiibwe, a midwife in southwest Uganda. 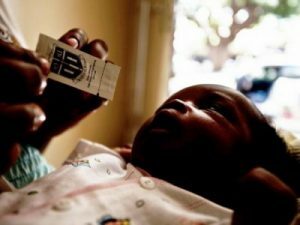 This model for scaling up the Pratt Pouch — initially developed by the Pratt School of Engineering at Duke University — will contribute to ending mother-to-child transmission of HIV by ensuring moms are empowered with knowledge and infants receive treatment early enough to prevent new infection. Most solutions to treat severe jaundice — a condition that if left untreated can cause severe brain damage or lifelong disability for newborn babies and affects approximately 24 million newborns each year — rely on equipment donation or phototherapy devices only found in well-equipped hospitals. To reduce often fatal complications, INMED has partnered with Little Sparrows Technologies and Brigham and Women’s Hospital to implement and scale Bilikit™ in Peru, a package of three validated, context-driven solutions that address critical gaps in the management of neonatal jaundice. 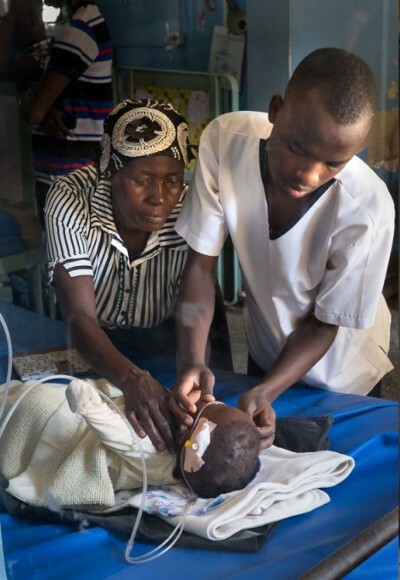 First, babies are screened for jaundice with a simple low-cost ruler and then referred for diagnosis. 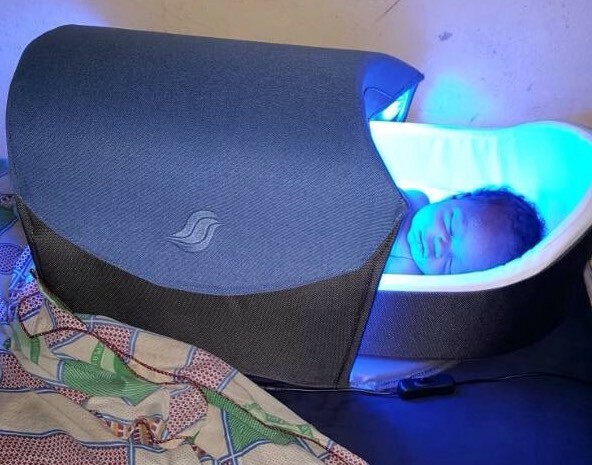 Bili-Hut, a novel phototherapy device designed to improve access to jaundice treatment in low resource settings, is used for treatment. The device is extremely lightweight, portable and capable of prolonged operation with a battery. The Bili-Hut can be used in both facilities and at home, and in settings without reliable electricity, often a barrier for treatment. Oxygen is a fundamental need in all health facilities across the world. Yet, facilities, especially those in rural areas, can often find themselves without a reliable source of oxygen because of low supply, high cost of transport, frequent power outages or a combination of all three. In these contexts, an alternative source of power is needed to support oxygen therapy. SL@B innovator FRE02 Foundation in Australia, in collaboration with local engineers, nurses and doctors in Uganda, has developed an electricity-free oxygen concentrator which runs on the energy from water flowing from a nearby stream. The Siphon system currently supplies oxygen to a facility that serves 40,000 people in western Uganda. At the completion the trial supported by USAID, Siphon could be deployed at scale throughout the country and beyond. Too often, we think of innovation as the end game. Instead, we should see innovation as a pathway to create impact: an opportunity to reframe the challenge and bring diverse perspectives to the table to address it in new and better ways. Through partnerships like Saving Lives at Birth, USAID calls on problem solvers to ask “Why?” when confronted with the status quo. In doing so, these innovators catalyze change and improve the lives of newborns around the world so that their future looks different tomorrow than it looks today. 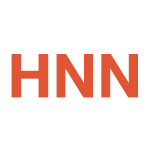 This blog has been added to HNN collection, Telling Your Story: transforming care for small and sick newborns. If you have a story to share about transforming care for small and sick newborns, send a 300-600-word blog about your experience or research to info@healthynewbornnetwork.org. 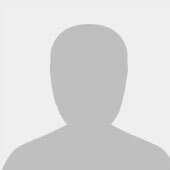 This blog is cross-posted from the Medium website. Sofia Stafford is a Program Assistant in the Center for Accelerating Innovation and Impact and helps manage the Saving Lives at Birth Grand Challenge.